A man wanted for allegedly opening fire on police officers in Columbia, Tennessee has turned himself into police in Detroit. Jamal Gardner surrendered to police at the Wayne County Jail at around 8:00 p.m. Friday. Gardner was with his cousin Cassandra Hancock and Minister Fuqua Bey when he turned himself in. 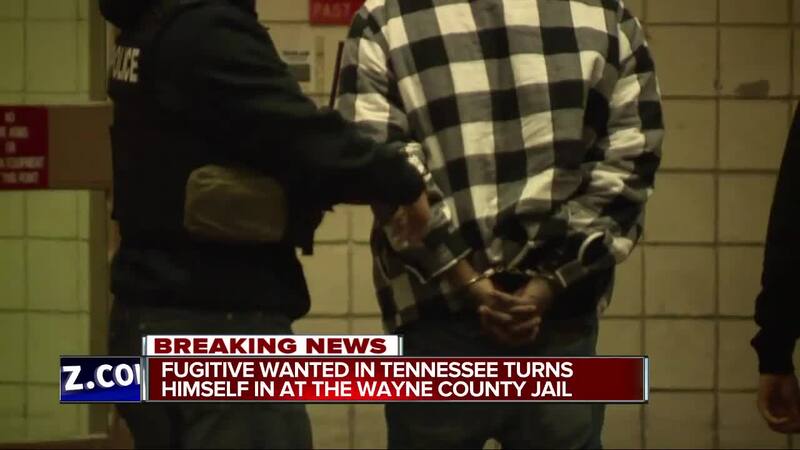 DETROIT (WXYZ) — A man wanted for allegedly opening fire on police officers in Columbia, Tennessee has turned himself into police in Detroit. Jamal Gardner surrendered to police at the Wayne County Jail at around 8:00 p.m. Friday. Gardner was with his cousin Cassandra Hancock and Minister Fuqua Bey when he turned himself in. Hancock told 7 Action News, "He told me what happened, so I told him it was time to turn himself in." Gardner has been sought by police since an incident 6 days ago. According to our Nashville sister station , police released body cam video of the incident that shows Gardner firing dozens of times at a police officer. WTVF reports that the incident began with a call to police allegeding that Gardner had attacked his girlfriend on Saturday. Later that evening Gardner was pulled over at his house by a police officer doing a traffic stop. Police say that's when Gardner opened fire. No one was injured. Gardner was wanted for attempted 1st degree murder of a Police Officer, reckless endangerment, aggravated assault and other charges.